Decided that as a birthday present to myself I would rid the ignition problems from the Range Rover once and for all. Went in whole hog with a MSD 6A box, MSD high vibration coil, Pertronix “Flame Thrower” distributor, and new plugs. Well the new distributor turned out to be a “lame thrower” and wouldn’t spark no matter what. I verified that it wasn’t producing a signal so I suspect the air gap isn’t setup correctly as I have come across a few reviews online stating they received the unit with the air gap out of spec. Rather than void the warranty by attempting to reset it myself, I decided to return it and use the original Lucas unit, which was working before I replaced it. Got everything set up and mounted in place over the weekend. Haven’t gotten it to run properly yet. Not firing on all cylinders and a lot of stumbling and missing. 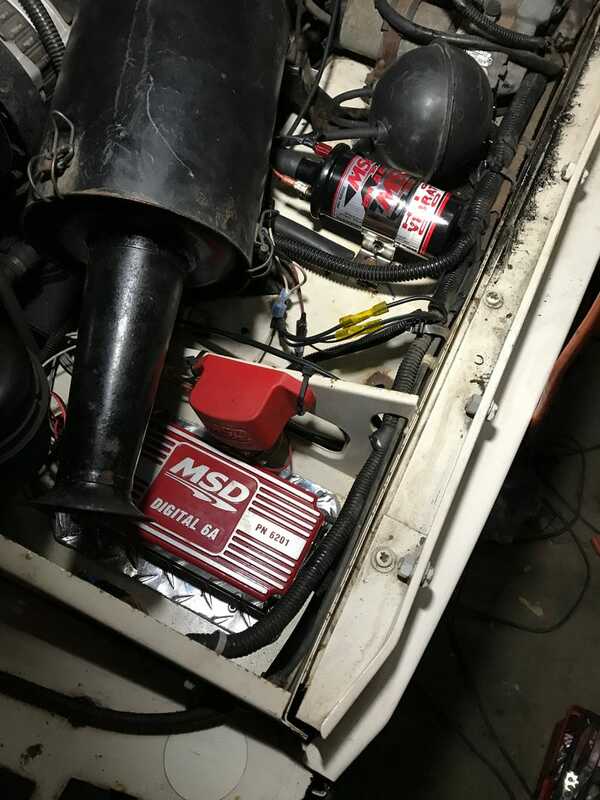 Had the same issues with the MSD box hooked up and without it. The MSD box exacerbated the issue however. I’m not sure what my issue is, but there was a low fog over the whole city all weekend so I’m hoping it was just moisture in the air/dist. cap. Ordered a new OEM cap and rotor from Jolly Olde England, but wondering if I need thicker plug wires also.